A showcase of various professional fields and careers paths for Asian/American Youth. June 25, 2016, 4pm -5pm. Unsure of which profession to go into? Wishing you could take the chance to pursue your passion? 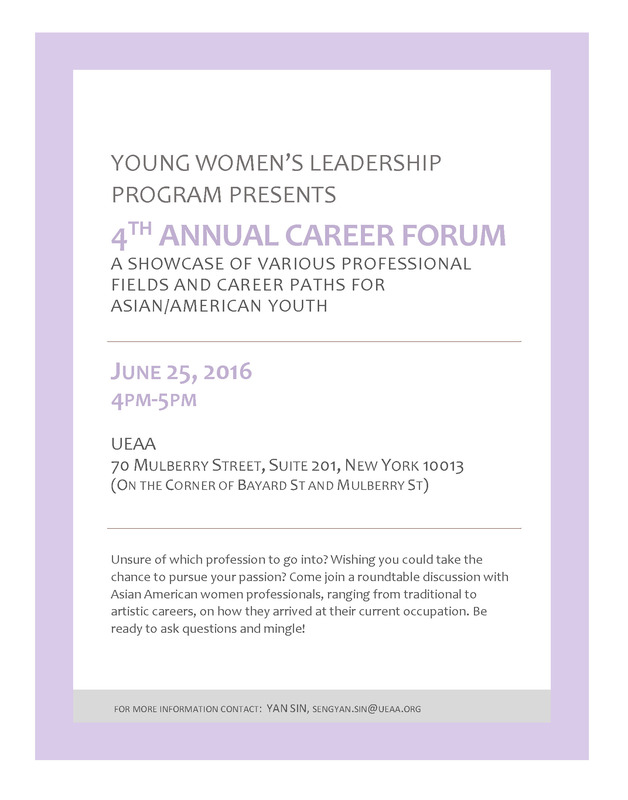 Come join a roundtable discussion with Asian American women professionals, ranging from traditional to artistic careers, on how they arrived at their current occupation. Be ready to ask questions and mingle!